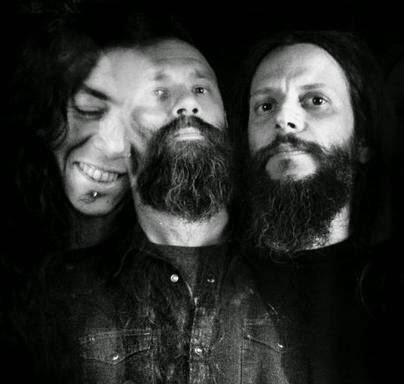 Ecate is the title worthy of deities and of Ufomammut's seventh album, which is due out on 30th March via Neurot Recordings. The Italian power trio, known for their almighty heavy capabilities and psychedelic prowess, have as many discernible similarities as they do differences to their formative roots. Never pandering to the easy classification of doom, Ufomammut charge their sludgy output with inimitable energy and wild, wayfaring ambition which is matched by the tight-knit musical understanding that flows telepathically between the three members; Poia, Urlo, and Vita. On their latest album, Ufomammut take a confident step forward with their craft, orchestrating atmospheric processions that take the six songs on the album to places as of yet uncharted, the only guide being that of Ecate (Hecate in English), the three-sided goddess who moves between the realms of the living, the dead, and the gods. Traditionally associated with matters of the liminal (statues of her can be found at crossroads and city walls, where she would be believed to either bless or curse travellers), she represents the link between the past, the present and the future in a way which resonates true with Ufomammut, and with the name of the band, too.